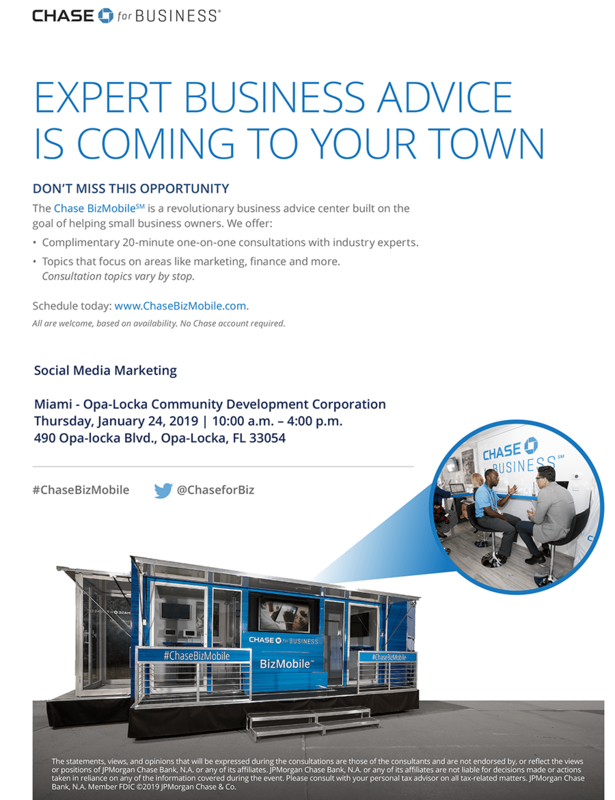 Chase for Business is in town and they’re ready to lend their expertise in field of social media. Come claim your 20 minute one-on-one consultation with industry experts. Topics will include the following: marketing, finance and much more.